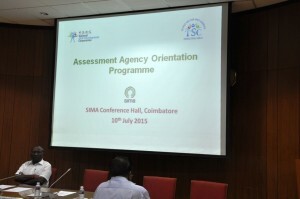 The Orientation programme was attended by 29 participants/assessors from Andhra Pradesh, Tamil Nadu and Kerala. 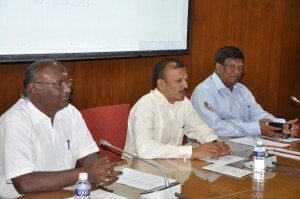 The Programme was inaugurated by Dr J V Rao, CEO-TSC. 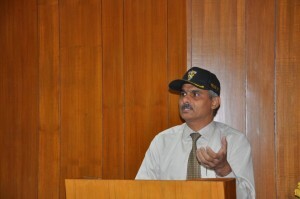 Dr. Rao welcomed the participants for the programme and stressed the need for unbiased performance evaluation as per the guidelines given by TSC. 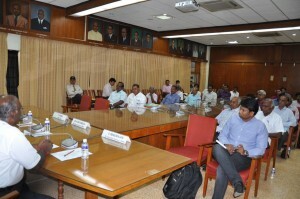 He requested the participants to reach the “Training Providers” site at right time and coordinate with the Training providers since most of the spinning mills are situated far away from the City. Dr K Selvaraju, Secretary General, SIMA explained the difficulties in evaluating trainees, he pointed that most of the trainees are from village background and the communication may not be good. However, they will be performing well during on the job training. He has mentioned that questions to evaluate the trainees would be of practical in nature and marks also given according to the importance of the work carried by the trainee. 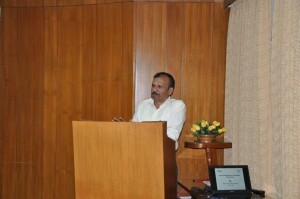 Mr V Regurajan, Dy Secretary General, SIMA highlighted the importance of soft skills. 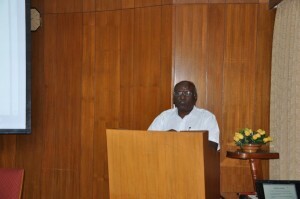 He has also prepared the questions relatively very easy to understand by a person with minimum educational background. Assessors raised many doubts regarding the evaluating a trainee on various aspects and they have to use their technical and soft skill while evaluating a trainee without any fear.